Riot Nrrd - New things in the store! New things in the store! YES! Maddow is My Homegirl shirts are BACK! They are beautiful and only twelve bucks! They are a slightly different style on this printing, so please do check the sizing chart. 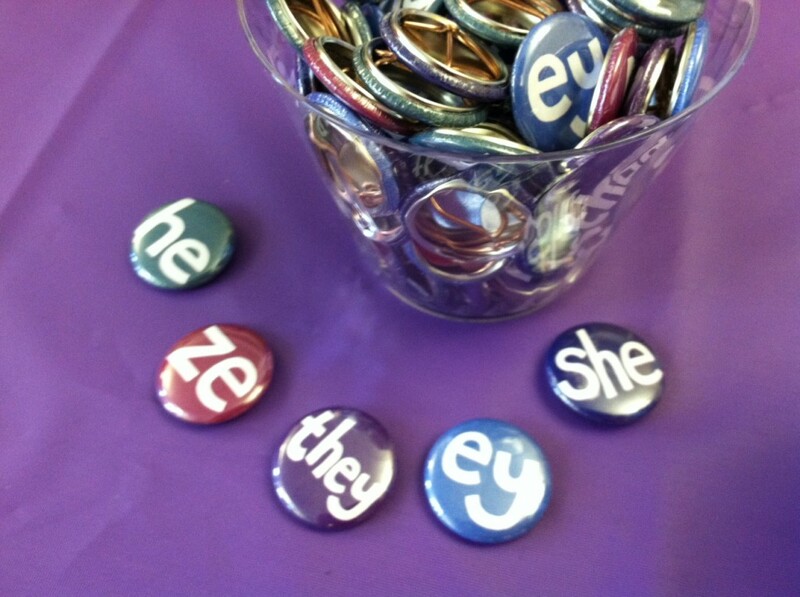 Also new to the store: pronoun buttons and Ask Me About buttons! I’ve simplified button ordering by lowering one inch button prices (including the old nrrd buttons) to just one dollar. 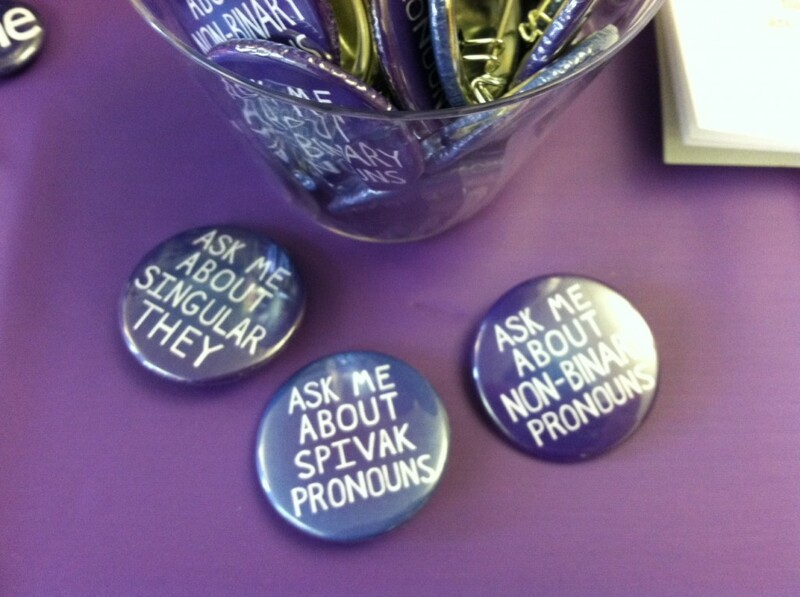 The new one-point-five inch buttons are $1.50. Pretty sweet! OMG. The person in that photo. I know what college ze goes to! Is that you RJ? I went to your school!!! (Fanboy moment). (If that is someone who still attends…) Also, how is Transcending Gender going? Is it still up and running? It is me! BUT I do not go to the school in question. I took the picture while I was visiting for Conbust. Sorry to disappoint! I hope you had a good time! (sadly somehow I never went to Conbust while I was there). “Transcending Gender” is the trans* focused club my partner and I started back before I graduated… I guess I’ll just have to find out from someone else.